BLANCO proudly announced that the BLANCO PRECISION® R0 DURINOX® Super Single Bowl with Apron has earned three major design awards for its distinctive look and superior performance. 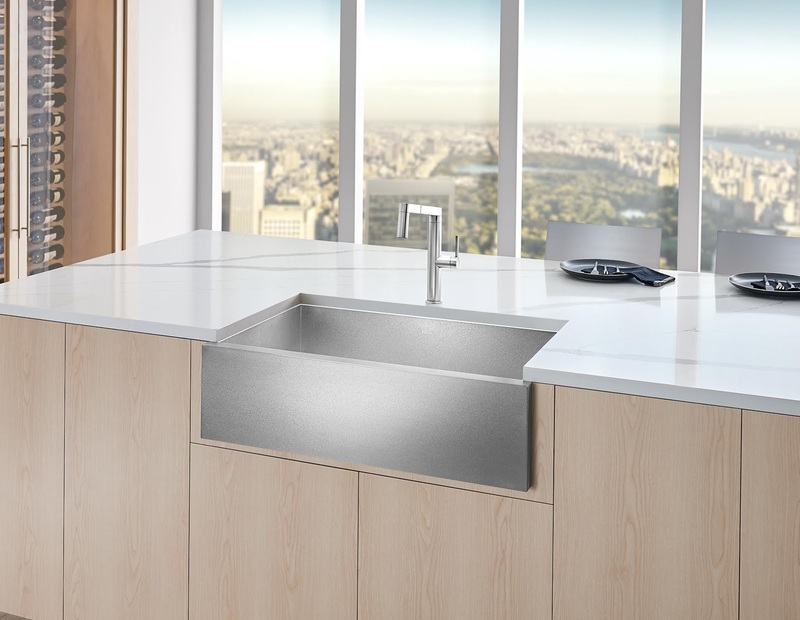 The PRECISION® R0 DURINOX® was recognized in the 2018 GOOD DESIGN® Awards, KBCULTURE Awards 2018 and the 2018 Interior Design’s Best of Year (BoY) Awards as an Honoree. Scratch and fingerprint resistant, DURINOX is the latest innovation from the artisans at BLANCO STEELART® featuring a completely unique look and feel with two times the strength of traditional stainless steel. Tailored to a hard-working and sophisticated kitchen, the PRECISION R0 modernizes a classic style complete with a velvety, matte finish and sleek silhouette. Featuring crisp, zero radius seams and an on-trend farmhouse style, the PRECISION R0 combines superior strength and unsurpassed resilience in its design.